Specialising in borehole drilling in the Cape Town southern suburbs, Precipitec was first founded in 1994 as an irrigation company but soon found that a large number of our customers were requesting wellpoints and boreholes. 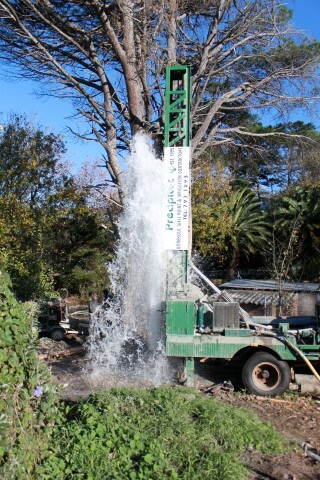 In 1995 we started drilling our own wellpoints and sub-contracted our borehole drilling. 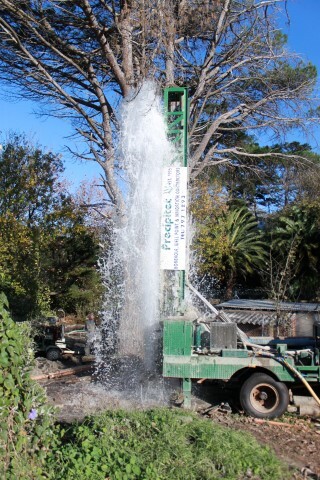 The demand for boreholes became so great that in 1996 we invested in our own borehole drilling equipment. 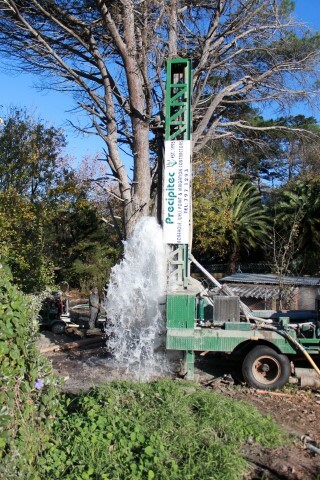 Today we have two drilling rigs that we use for drilling boreholes up to 250 meters deep. Our well-points are still drilled using a wash-bore technique done by hand. 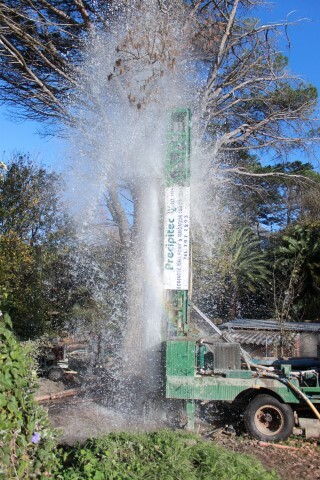 Drilling in Cape Town requires intimate local knowledge due to the soft sand and clay formations encountered. We have specialized in particularly mud rotary drilling to ensure minimal impact to both the environment as well as preventing damage to surrounding buildings. Though we often drill with air (percussion) it is a last resort . A note of caution ; air drilling is often used by inexperienced drillers coming from up country to cash in on the drilling boom, with disastrous results. We strongly recommend that prospective customers do due diligence on the company they aim to contract and make sure they have experience in drilling in local conditions and have proper liability insurance in place. 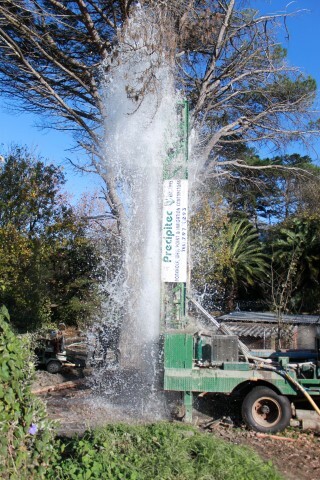 We pride ourselves on our track record of successful "negative impact free" boreholes that give many years of service. 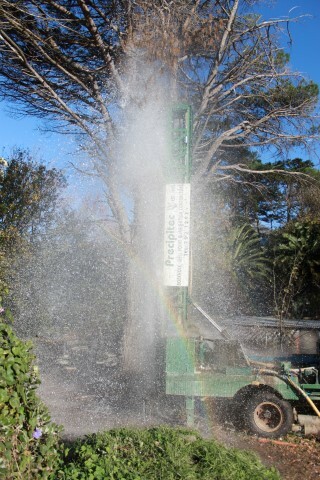 To date we've completed in excess of 2000 boreholes in Cape Town. Although our irrigation work has tapered off in recent years caused by a lack of demand due to water restrictions, our teams have made a name for themselves in irrigation installation excellence and still tackle such work when needed. You will find our site staff friendly and hard working and we especially pride ourselves on how neat we leave the sites once work is completed. 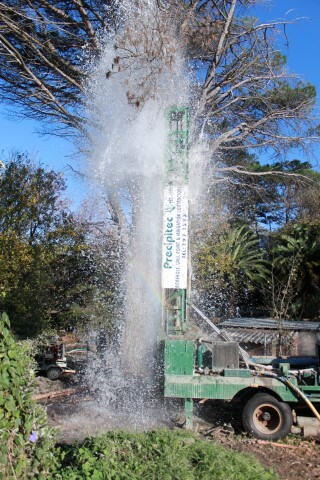 Precipitec is fully underwritten with the requisite public liability insurance and we are a member of the Borehole Water Association of South Africa..
Copyright© Precipitec 2018. All Rights Reserved.